Only minutes away from the Barrier Reef and boasting its own beautiful fringing reefs, Thatch Caye Resort has the advantage of being able to offer diving enthusiasts reef experiences with only short boat rides to some of the world’s best diving sites. The Belize Barrier Reef Reserve System lies off the eastern coast of Belize and is the longest barrier reef in the Western Hemisphere and the second longest in the world. Thatch Caye Resort is located right on the Belize barrier reef. Belize Underwater hosts incredible scuba diving and snorkeling locally, but also offer tours. Please be aware that some tours require a minimum number of participants. If the minimum number isn’t reached, we will rebook you for an equivalent tour. ALL RATES ARE PER PERSON. 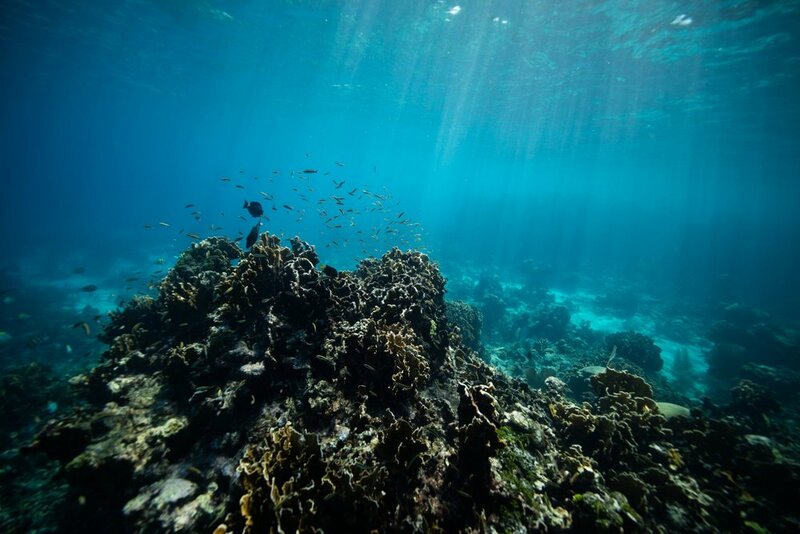 Explore the underwater world surrounding our private island with our experienced snorkel guide. Visit Glover's Reef Atoll or Turneffe Islands for a three tank dive day. Inquire for the schedule. Lighthouse Reef is about 3 hours away and offers divers a chance to dive the famous Blue Hole. This is a unique dive down to 130 feet, recommended for experienced divers with at least 25 dives who have been diving recently. We will ask to see your log book for confirmation. Half Moon Caye and the Aquarium multi-level wall dives at a maximum of 50 feet for about 45 minutes, complete a great diving experience. 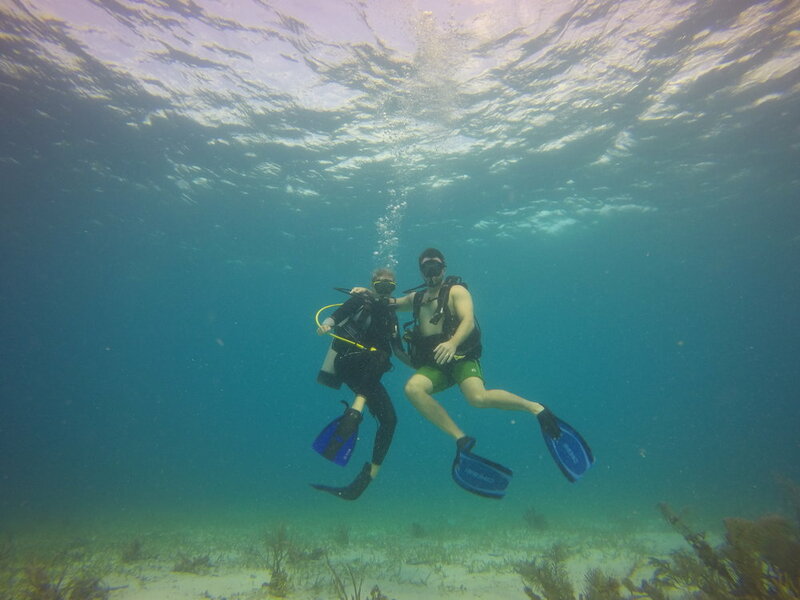 Inquire to pre-book your snorkel or SCUBA dive!